Set up in 1803 by Nottingham Monthly after being an indulged meeting since 1796 "at a place near Henry Reynolds", this meeting was then known as Eastland Preparative. 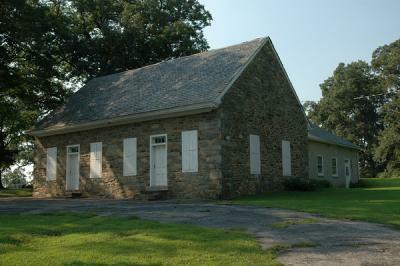 Meeting house was retained by Hicksite branch after the Separation and the preparative meeting was established under Little Britain Monthly. Today the meeting is called Little Britain-Eastland Preparative.